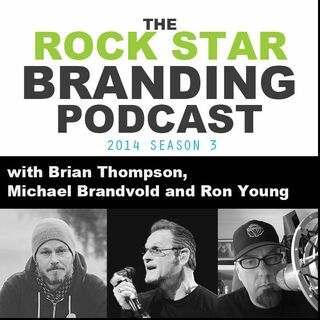 The Rock Star Branding Podcast, August 28, 2014 - Ep. 88 Are You Even Ready for a Crowd-funding Campaign, Should You Invest in Yourself First? Join Brian Thompson, Michael Brandvold & Ron Young. We are joined by our brand new co-host rock star Ron Young of Little Caesar. For those of you unfamiliar with Little Caesar, they were signed to a major label deal with DGC/Geffen Records in 1989 and had two big singles, "Chain of Fools" and "In Your Arms". Positioned as the ... See More next big thing, Little Caesar were managed by a team of industry bigwigs, including Jimmy Iovine, A&R by John Kalodner, and with Bob Rock producing their debut album.